You can get kids to do a lot if you promise them Minecraft… just ask parents who’ve watched their children race through chores to get some building time. And Microsoft knows this, too. It just released a tutorial for Code.org that uses Coding Minecraft Mods to teach the basics of computer programming. Instead of pointing and clicking to smash your way through the landscape, They construct a string of commands using code-like snippets such as “turn left” and “destroy the block.” This hopefully shows your young ones how programming can be both fun and relevant — it’s not just some boring thing you do to make money. Ever wonder how Coding Minecraft mods are made? We teach the use one of today’s well known coding languages, Java, to create your mods. 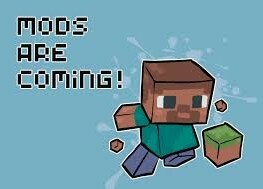 In Coding Minecraft Mods camp, kids will learn how to make your items, armor, blocks, and mobs (animals and enemies) using computer engineering techniques. They will learn to code with Minecraft and share it with everyone when they have finished their creation!